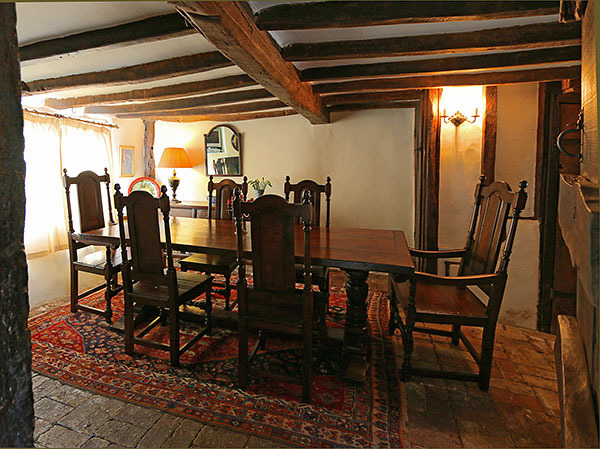 Period style oak dining table and chairs, in this wonderful oak beamed room, in our clients 15th century Buckingham home. The perfect venue for our world-class authentic antique replica furniture! The table is a fixed top rectangular shape eight seater, i.e. 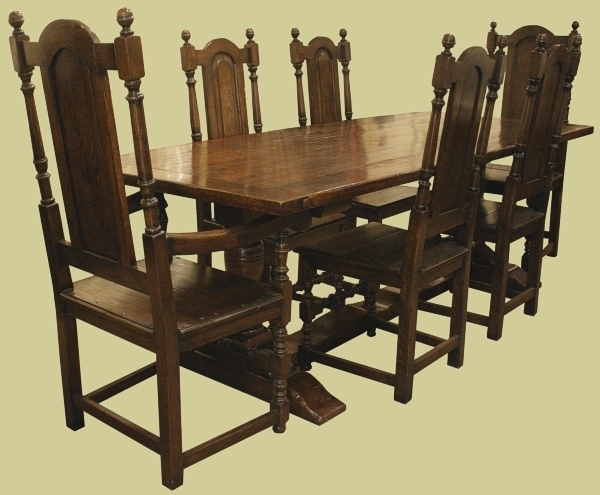 will take six side chairs and two carvers. In this case, our client chose the six seat option, from our Berwick semi-bespoke dining furniture package. The solid seat chairs can be used as they are, or with thin (slub) loose cushions, for additional comfort.